Is it too early to start thinking about the holidays? As someone who is a year-round semi-scrooge (I’m just in it for the eggnog, folks), I really want to say yes. It’s pushing triple-digit temperatures here, and the only sugarcoated visions dancing through my head are margarita glasses. Yet it would seem I am outnumbered in this opinion, as searches for holiday knitting are already trending big. I will admit it’s downright genius to start planning now if you’re going to knit gifts for the holidays, but if you’re like me, you still don’t want to listen to reason. You’ll hold on to the fleeting summer till someone has to pry it out of your hands with a stinkin’ candy cane. The solution? Ease into the idea of holiday knitting with a knitting book! 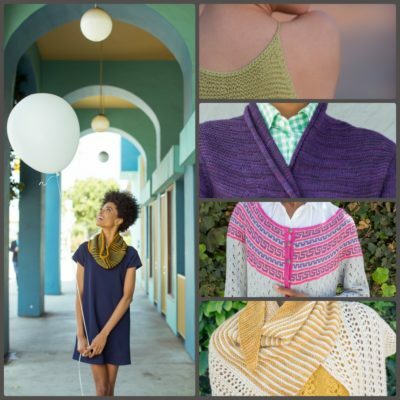 You can start passively planning your gifts as you flip through the patterns and justify the purchase as a necessary addition to your knitting library. It’s a win-win. 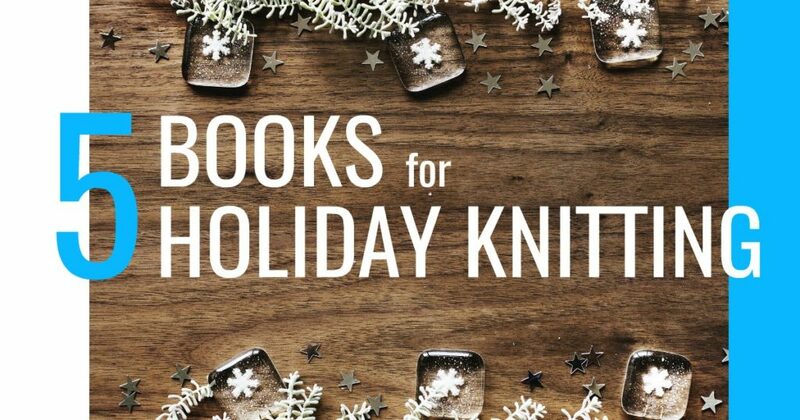 Take a peek at the top 5 books I’ll reach for when I’m finally feeling mentally prepared for some holiday knitting. What can I say about Plum Dandi Knits that hasn’t been said already? It’s an absolutely stunning eye-candy pattern collection that you’ll want in your library so you can look at it over and over again. It’s also filled with patterns that are simple enough to make multiples of in time for the holidays but luxurious enough to be treasured gifts. 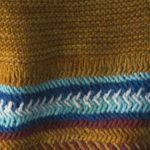 Garter Stitch Revival proves that a good garter-stitch piece is timeless. You’ll love exploring this often-overlooked stitch while knitting holiday gifts for that fun and funky friend on your list. 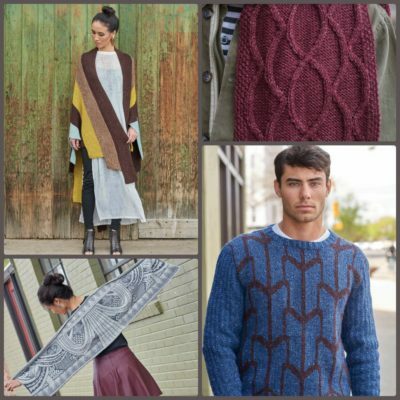 Urban Knit Collection is filled with 18 patterns perfect for both urbanites and county mice alike. With knits for both him and her, this book has a gift for everyone on your list. 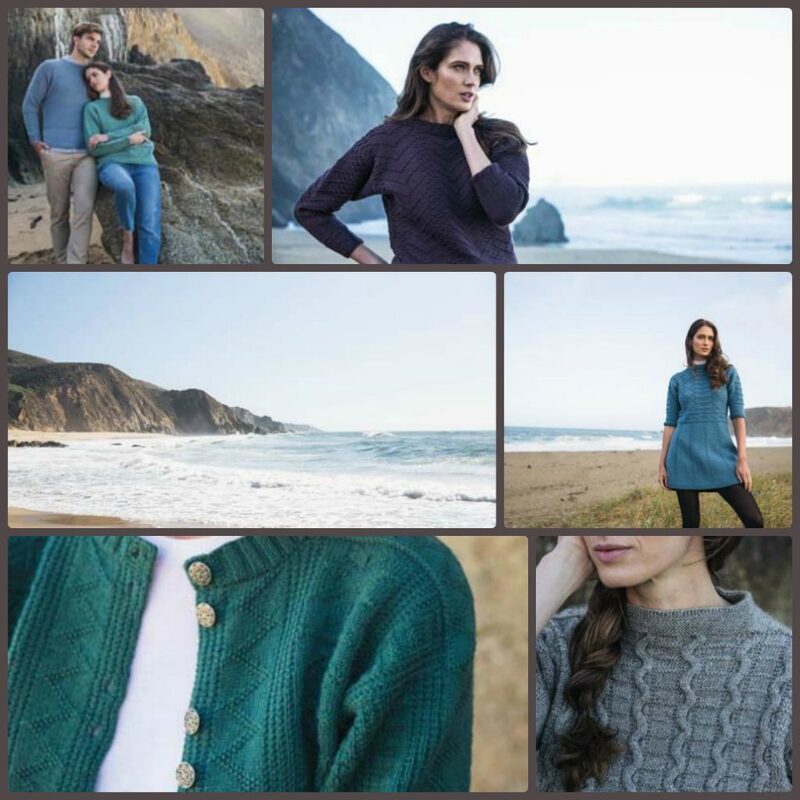 An exciting new version of Beth Brown-Reinsel’s beloved Knitting Ganseys is here just in time for you to make a gansey for everyone on your holiday knitting list. Enjoy learning all about this classic knitting style with in-depth history and techniques in a lovely hardcover book you’ll love having in your library. A pack of store bought socks is a classic, but tired holiday gift. Socks get a bad wrap as being a bad holiday gift. Take that idea and flip it on its head with the exciting and intriguing designs from New Directions in Sock Knitting. You’ll love having this “sock for every occasion” collection in your library. It’s possible that part of my holiday Grinch-ness comes from not being prepared when it comes to gift giving. Thanks to these books, there will be considerably fewer humbugs coming from me while I plan my holiday knitting. get your hands on these knitting books!